/ What is the Black Preaching Tradition? The approach to preaching that was born in the pain of the slavery experience. Black Preaching is multifaceted, but generally there are four parts to it. 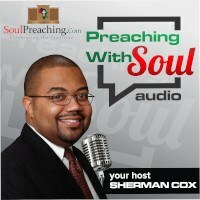 There is the Black Preaching style which emphasizes the freedom of the preacher to be the preacher’s self. Usually this is what people refer to when they speak of the Black Preaching Tradition. This dimension is characterized by rhetorical embellishments, dramatical embodiment of the message, vocal dynamics, and often a musicality in the spoken presentation. To learn more about Black Preaching Style I would suggest Black Preaching by Henry Mitchell. One should also refer to James Harris The Word Made Plain. For an approach to actively appropriate the Black Preaching Style you might look at Preach On by J Alfred Smith. Often theorists point to a theological perspective of Black preaching. This dimension emphasizes the tendency of preachers in the Black tradition to preach on liberation and transformation of individuals as well as corporate structures. There are some who preach in the style of Black preachers who do not demonstrate this emphasis and thus are not true to the full Black Preaching Tradition. Here you might look at Cleophas LaRue’s Heart of Black Preaching to see this dimension. One might also look at The Sacred Art by Olin Moyd. 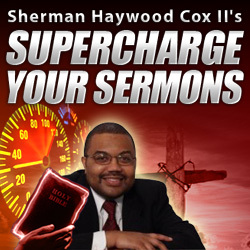 The third dimension is the structure of Black Preaching. Here there is the recognition that Black sermons often end in a celebrative tone. The Basic Structure, as argued by Henry Mitchell, is to present the problem, present the Gospel’s resolution of the problem, and then celebrate the resolution. This is not the only structure, but it is defintiely common in the Black tradition to “end strong.” To see a discussion of this you might look at Celebration and Experience by Henry Mitchell, Olin Moyd’s Sacred Art, and see They Like to Never Quit Praising God by Frank Thomas. Finally there is the historical dimension of Black Preaching. Here the preacher is to recognize that he or she is standing in the footsteps of many who risked life and limb to preach the Gospel. An understanding of our history can inform all areas of our preaching and reminds us that as we are ultimately responsible to God for our preaching, we are also responsible to those who have gone on before us. One might look at Henry Mitchell’s Black Church Traditions to find out more about this dimension. The Black Preaching tradition has an important future as long as there are weak members of our society that are cast aside by the dominant culture. As long as there are those who are descriminated against who need a voice there is need for the Black Preacher. It is our responsibility to stand in the tradition by becoming knowledgeable of it.